We have a thread for our favourite film characters but not one for the small screen, to my knowledge, so who are your favourites and why? Fisrt up from me is what I think is the greatest US President, fictional or otherwise, and a fantastic role from Martin Sheen. He actually was only supposed to be a recurring character in The West Wing but apparently Sheen impressed so much Aaron Sorkin started to write him more into the show and I'm glad he did as you can't think of The West Wing without Jed. Boston Legal. Best thing I've watched in the last few years. Tony Soprano, Mr Benn, Larry in Curb Your Enthusiasm. haven't watched Curb yet, but I'll def agree with you on Tony Soprano! Probably going to date myself a bit but my favorite of all time is Tom Selleck as Thomas Magnum on Magnum P. I.
I'm a big fan of Steve McGarrett on Hawaii 5-0, the current one played by Alex O'Loughlin. Also loved Desmond on Lost. Henry Ian Cusick. Larry David is comic genius. The Winchester boys from Supernatural are great, but I'm only early into season 4 and Castiel and Uriel are intriguing me. Robin Williams(RIP) in Mork & Mindy (NCIS Gibbs' real wife!). Na-nu Na-nu. Been watching a little Grimm on my phone, as of late, Silas Weir Mitchell, who the Prison Break aficionados will recognise as the actor who played Haywire, absolutely knocks his role on this show, as Monroe - a Wieder Blutbad, out of the park. Hits a sweet spot for me, sits kind of mid-range between Buffy and Supernatural with a touch of the crime procedural. Definitely not for all, but I'm sure it will work for a few geeks like me, who are definitely out there. Favourite ever tv character has to be Jeff from Coupling. If you haven't seen this show, you must! Rewatching Breaking Bad and I know I mentioned Mike Ehrmantraut before in here but I also forgot how much I really like Hank and how his character develops over the seasons. Dean Norris does a great job here. 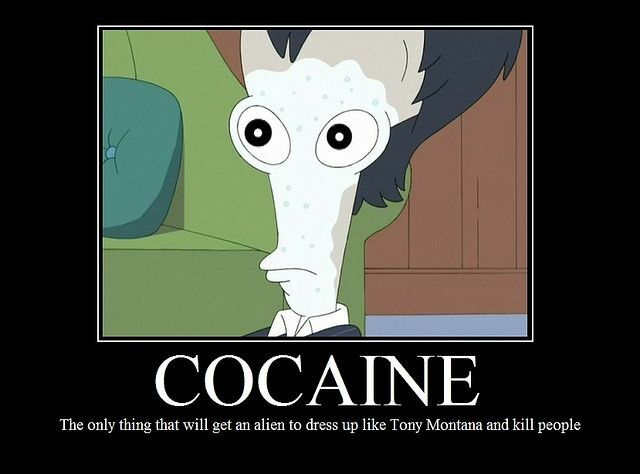 Roger from American Dad. He is an alcoholic, drug addicted, cross dressing, pansexual, sociopathic, criminal space alien. And he's f***in' HILARIOUS. Malcom Tucker is right up there with mine. Absolute hero.